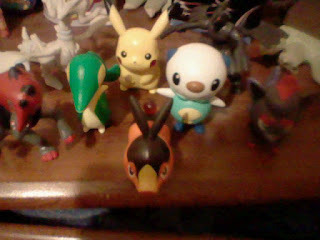 Grand Elder: Pokemon Toys at McDonald's! When I first heard about these toys I was pretty excited. And after going to a few different McDonald's locations and with the help of some cool McDonald's employees I obtained all 8 of the toys!! So we have been working on starting the League and we went to our local library and a good friend of ours sounded pretty optimistic about it we just need to go back next week to talk to the main person to make sure. My National Dex is now at 580! Getting close.